We all are now quite familiar with the smile of that Airtel girl in the ads who is damn excited to share the great challenge thrown by Airtel of making "lifetime mobile bills free" if one can show a faster speed in downloading stuff. But how is it faring? Has anyone asked them to make his mobile bills free for life? Because words are spreading that complaints and criticism about Airtel 4G are in the air, so is it that exciting an experience, that the girl exhibits? Let's see. 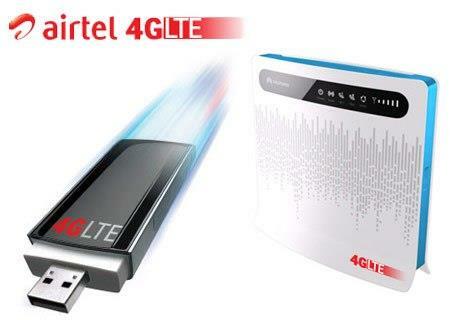 The past two weeks the new Airtel 4G Huawei Mobile Hotspot device went through a variety of tests. There were management dashboard evaluation, speed tests, battery life test etc. and all these were being conducted in Hyderabad. The company has just been desperate to push the 4G services with lucrative offers like 'home delivery of 4G SIMs', but the 4G network availability is still awaiting some betterment. Of late Airtel has been also facing complaints for frequent call drops and the telecom company has given the excuse for lacking number of mobile towers. 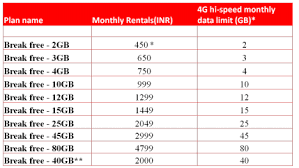 The claim made for the 4G services of Airtel says that they have increased data consumption far more easily than 3G, along with their lucrative offers to give away '4G at the price of 3G' with a double data offer clearly led the company towards a win-win situation firstly for the consumers and needless to say, the service holder as well. Simultaneously, the smartphone market of India is also going through a crazy boon because of this 4G adoption. It might have occurred because of the reason that all those handsets with 4G support are been made available at a lower rate than Rs.10,000. The list has in it a number of good brands like Motorola Moto E (Gen 2), Xiaomi Redmi 2, Redmi Note 4G, Lenovo A6000 Plus, Micromax's Yu Yuphoria, and Lenovo K3 Note. After a claim of getting a speed which was never before, it is evident that the users will like to switch only after testing the speed. Each user would be waiting impatiently to know the results and here it is which came out in form of an interactive chart. The speed crossed 20 Mbps only while tested in the hours of early morning. The upload speed were disappointingly lesser at most of the times. But because of the fact that Airtel is still in the process of maximizing the 4G network in Hyderabad we haven't yet lost all our hopes yet so far to get what we all are waiting for. Though Airtel 4G is a Wi-Fi device which can be used on any device and also on desktops without the help of Wireless network adapters, you need to plug it in to a USB Port with the help of your USB cable. The device would stay connected to the internet even while the charging is going on. In the dashboard which is not the homepage of the app, the user would be prompted to feed in the device's admin credentials to get the access of the control panel. 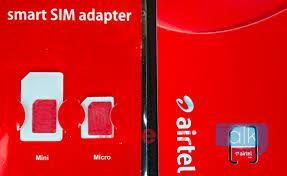 The dashboard customized for Airtel is Huawei based which is an easy to use one. The landing page was quite impressive that gives you a set of really relevant information. The Key indicators show you the signal strength, the details of data sent or received in a stipulated time, the number of devices connected to it and also the controlling keys like power on/off, switching on the Wi-Fi extender and the tab to disconnect from the data network. The Airtel people took enough care of the feature that every user should have the access to check the vital statistics of their usage through their account. They have even made the connected devices visible along with their duration of usage. The SMS console feature has been given a prominent place. The Messages that are sent were being delivered instantly and you can also get the delivery reports if you subscribe to it. The USSD capabilities tested here were comparatively fair and there are some quick and handy options in a combo menu that saves your time. The settings page looks intuitive with loads of useful options. The option to restrict the network mode to 2G, 3G or LTE is really appreciable. Making the hotspot a battery operated device, this feature has made things simple while traveling to poor or no 4G / 3G connectivity regions and that way it is a good method of saving the battery. The battery is lasting for 5 – 5.5 hours and took up to four hours to charge the device fully. The experience of 4G has a sharp contrast to the 3G rollout in India – We didn't get as many options of affordable 3G handsets and the cost factor of using 3G networks was relatively quite high. The adoption has got easier in the recent days as the services got cheaper and the telecom service provider came up with various economic packs like one week and one day recharges. So comparing the 3G rollout in India, the 4G rollout of Airtel's is fairing quite well. We all hope that Airtel would now focus on building up a stronger infrastructure with better deals for the 4G network without complaints against slowing down or frequent call drops. Though there are issues, the overall experience of switching to the 4G network, and using it, was smooth and happy. 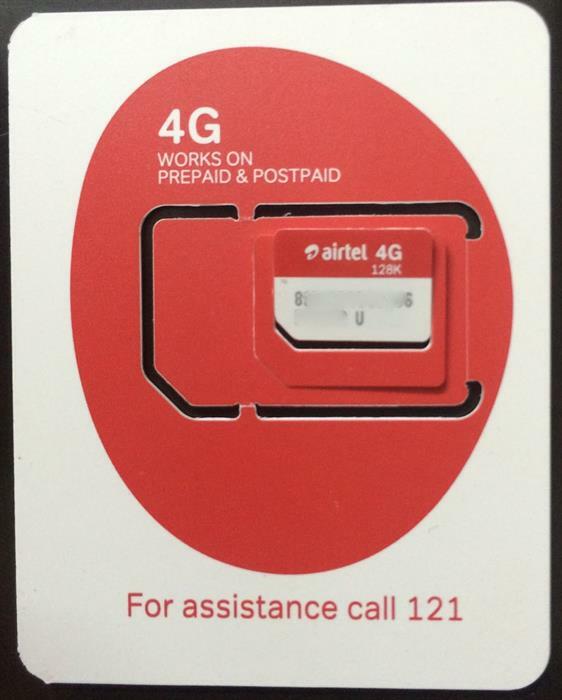 The procedure of acquiring a SIM has become easier as the user only needs to request for an Airtel 4G SIM through the company's official Airtel 4G SIM swap page and we have seen it practically been delivered within 8 hours. The setup was a breeze as Airtel is now offering a free 4G upgrade for the current Airtel subscribers. What more? The free doorstep delivery is also on the cards, with an incredible offer of 10 minutes activation which is a good leap from the previous one. This shows that Airtel is serious in getting the best out of the first mover advantage from its latest 4G services. To sum up, the Airtel 4G Hotspot is definitely "a good to have device" for those who are regular travelers and are multiple gadget users. With the offer of making 4G available at the price of 3G, there's no big risk in investing and trying out in this device and experience of the advantage of a an increased speed. The speed tests being provided will not be realistic. It is just the beginning and there is practically a minuscule community which is using the 4G. Once the user base increases, the speed is bound to come down. A real test would be when a large group of the people begin to use it. Exactly Timmappa, already a lot of complaints are lining up, and I am curious to know whether they are really keeping up their promise of making the complainers' phone bill free for life time. Also please note that we may need to wait till the other operators launch their 4G services. Let Reliance Jio start their operations. Idea cellular and Vodafone India are also gearing up to launch their services. So the real test would be when we happen to see the comparative analysis of all the operators together. Timmappa said the eal test will be in future with competition. Given the credit of introducing 4G first in India, still Airtel needs to address the complaints raised. And above all, I am very eager to know whether they have kept their promise of making the phone bills lifetime free, as when the speed came down in so many cases, other network would have been running with better speed at that particular time, right?